Discover the historical islands of Croatia on a 8 day 7 night exciting journey from the main harbor of Split. 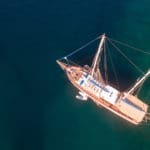 Included in this fantastic itinerary, travelers will visit UNESCO protected sites, the famous Pakleni Islands near Hvar, the village of Milna, Lastovo, Korcula, the breathtaking Jelsa, island of Vis and Hvar – known as the ‘Santorini’ of Croatia. 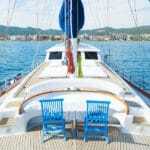 Many treasures await blue cruiser travelers on a ultimately historic, cultural and impressive trip in the Adriatic Sea. Leaving for Milna, Island Brač. Overnight in Milna. Milna is a village on the western side of island of Brač. Typical small island village with Mediterranean charm and atmosphere. The village is settled in 16th century, by shepherds. 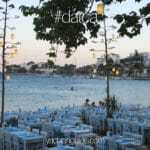 Nowadays very popular nautical resort , known by good authentic Dalmatian restaurants. The necklace of forested islets are coming out from crystal blue sea, with many small beaches, numerous hidden bays. They are pieces of private paradise right in front of a very popular hot-spot destination of Dalmatian Riviera -Island Hvar. The Mediterranean communities even in the Neolithic times, 3 thousand years BC, inhabited the island Vis, especially territory of today’s’ City of Vis. The name of the island Issa originates from that time and that is the name that the island still holds in the croatised version. Island Vis was the best kept secret of former Yugoslavian government – it was completely forbidden to foreign citizens to come on Vis, because it was significant Army base, but it emerged from a long period of isolation (1945- 1989) with untouched natural beauty. One of these beautiful places is the Blue Grotto – Blue cave. This place was proclaimed as national natural heritage in 1951. It is a cave with entrance from sea, with unique form that enables almost magical natural light show to appear in its’ inside. Somewhere around noon, the sun’s rays are reflected through an underwater entrance creating a fascinating blueness. This unique sight can only be seen on a sunny day when the sea is calm. Monday → Leaving Vis for Island Lastovo. Overnight on Lastovo. The municipality of Lastovo consists of 46 islands with a total population of 835 people and a land area of approximately 56 km² (22 mi²). The biggest island in the municipality is also named Lastovo, as is the largest town. The majority of the population lives on the 46 km² island of Lastovo which is inside of island because in the past areas by the sea were often attacked by different invaders. Local people are mainly fishermen so this is perfect place to enjoy in fresh sea food. Main town Lastovo can be explored by enjoyable hiking tour through forested roads. Lastovo is very popular area for scuba divers because of its’ rich underwater life and sunk ships from past times. Tuesday → Leaving Lastovo for Korčula. Overnight in Korčula. Korčula’s abundant culture and history helped define its popular name ‘Little Dubrovnik’, a wonderfully romantic promenade runs through the town by the city walls and is teeming with lively cafes. Korcula town is also claimed to be the birth place of Marco Polo. Wednesday → Leaving Korčula for Jelsa. Island Hvar,overnight in Jelsa. Jelsa has grown from a small fishermen place to a popular nautical destination because of its’ beauty and hospitality. From this small town you can take pleasant walks along the coast through pinewoods, shady groves or winding paths as well as strolls through picturesque villages with well preserved rural streets and squares, scattered across the hills and valleys filled with Mediterranean vegetation and medicinal plants. Thursday → Leaving Jelsa for Bol. Island Brač. Situated in a secluded place, on the southern coast of Brač, Bol is the oldest town of Brač and one of the most famous seaside resorts of the Adriatic. Apart from cultural monuments, Bol also features a number of natural beauties. East and west of Bol are numerous shores, beautiful beaches; the most famous – and probably the most beautiful on the Adriatic – is Zlatni Rat. This pebble cape is a unique phenomenon – it stretches into the open sea in the shape of a tongue, with its tip changing the form and moving to one and another side, according to the direction of winds and waves. A story has it that this is the only beach in the world that runs vertical to the coast. Leaving Bol after lunch for Hvar, overnight in Hvar. This beautiful island often alluded to as the “Santorini” of Croatia due to its much photographed Venetian architecture, offers a mix of culture and a vibrant restaurant and café life. Despite its popularity, Hvar has nevertheless maintained its authenticity with an exceptional climate boasting 2,800 hours of sunshine a year. Friday → Leaving Hvar. After break for lunch and swimming reaching Trogir. Overnight in Trogir. The UNESCO World Heritage City of Trogir is a charming small town situated on a peninsula connected to the mainland by a bridge. The town centre is full of historical sites, narrow cobbled streets and stone houses. The quintessential site is the Cathedral, home to many sculptors from the Croatian Sculptor Andrija Buvina. Trogir is also known by its’ night life – practically whole night streets and clubs are crowded with both tourists and locals. Saturday → Leaving early in the morning from Trogir to Split. Disembarkation at 9:00. 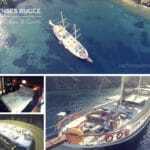 Please note that this itinerary is intended for private gulet charters. Not shared cabin charter cruises.